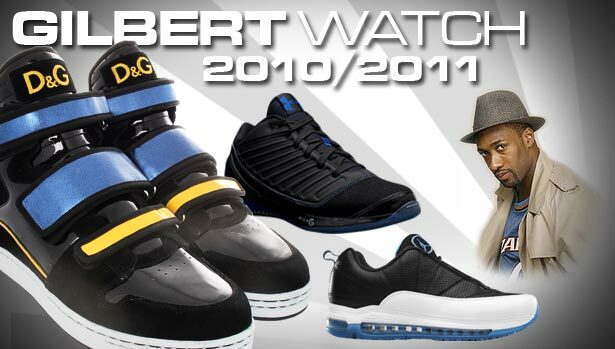 Gilbert recycles another early-season pair for his Christmas Day game. 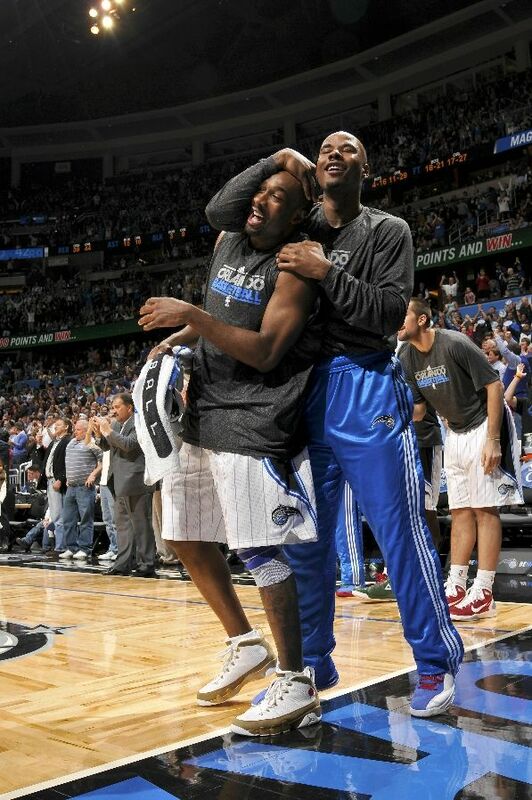 For the second straight game, Gilbert Arenas chose to wear a pair of sneakers that he's already worn this season. 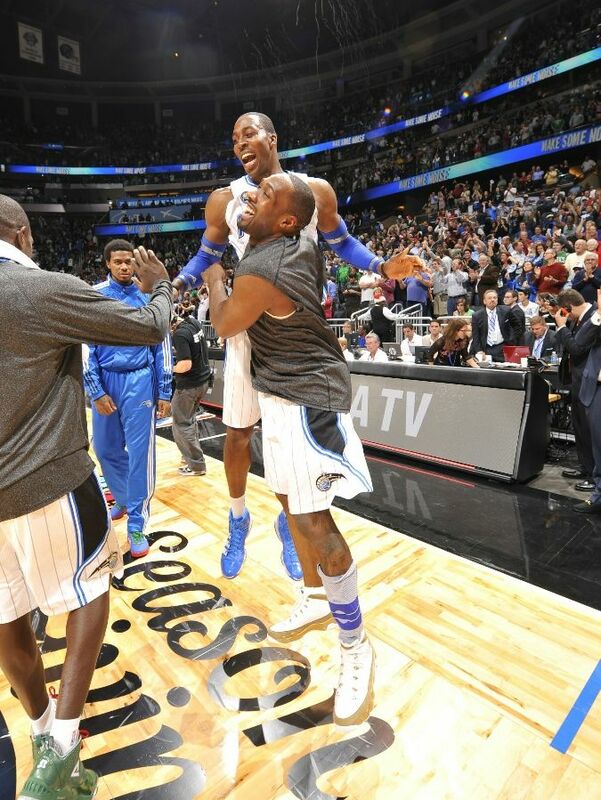 The reason probably being that he doesn't have access to his sneaker stash after making the move to Orlando. For the Christmas Day meeting with the Boston Celtics, Arenas laced up the Bin23 Air Jordan Retro 9. Not particularly a Christmas colorway, but the gold flake and red Bin23 stamp manage to work for the occasion. Gilbert cooled off a bit from his last outing against the San Antonio Spurs, contributing just 5 points, 4 rebounds and 2 assists off the bench. 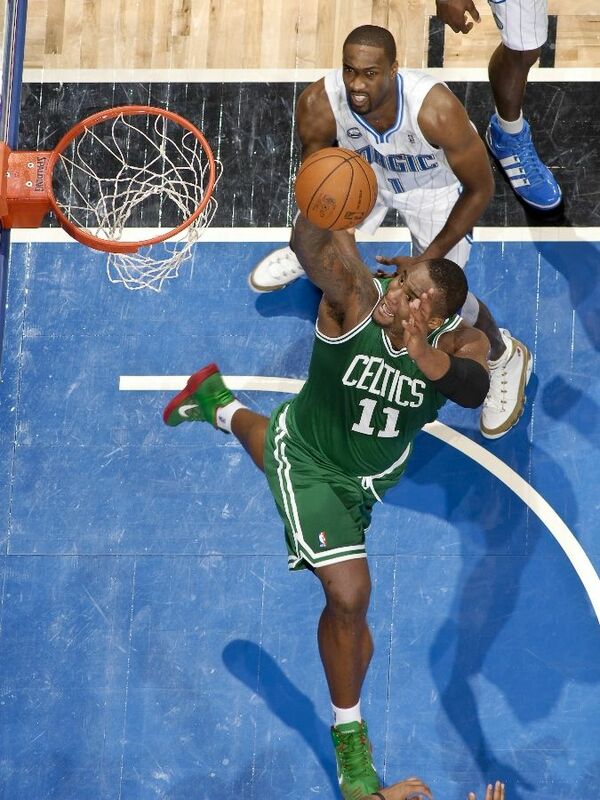 However, the Magic were able to make a late-game push and defeat the streaking Boston Celtics for their second straight win.